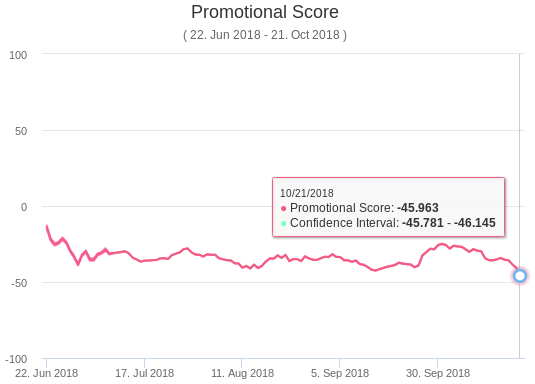 This is the first of three articles on an analysis of Reddit community, utilizing RedditProfile.com – a demonstration of the Metacortex platform. 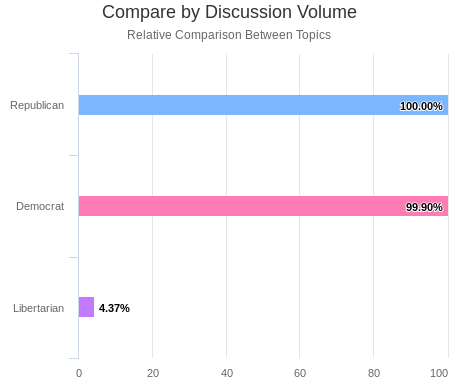 The goal is to analyze if there are any political leanings of the Reddit communities we follow. 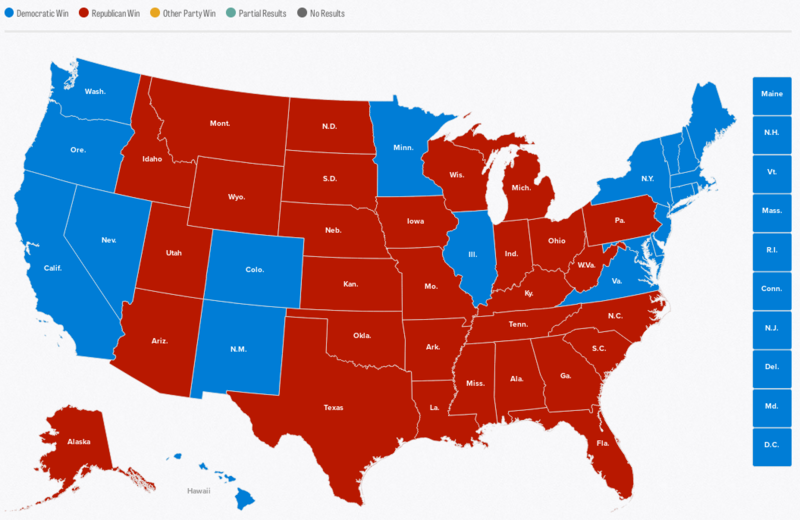 November 6, 2018 (mid-term elections, after 2016) may change the map. 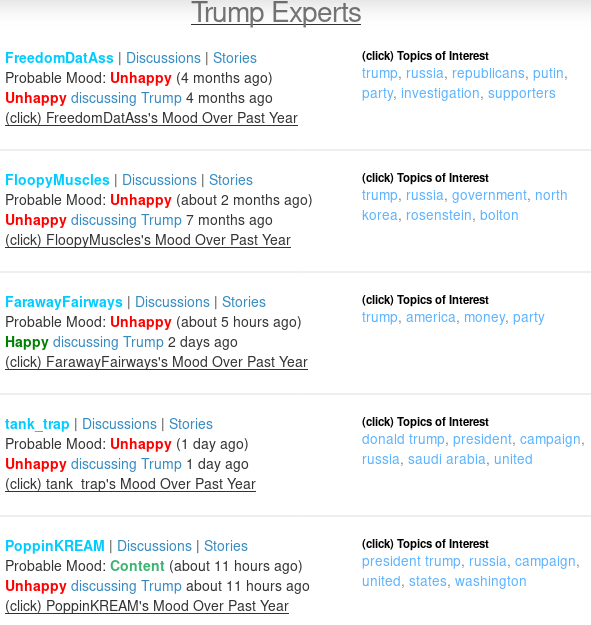 but this isn’t an analysis of the United States as a whole, it’s an analysis of Reddit.com. 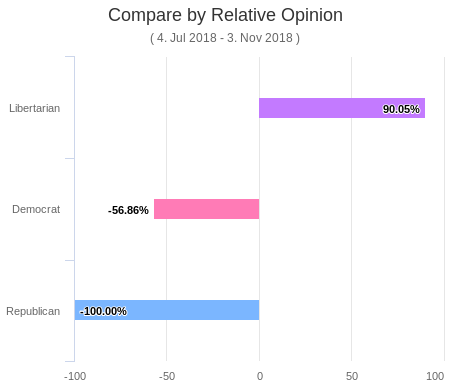 Regardless, due to the sheer volume of discussion around the two main political parties, it’s clear Democrats have an advantage discussed 25x more than Libertarian’s and 40% less negatively than Republicans… Perhaps we [society] should be looking at political parties we like, as opposed to the one we hate the least. 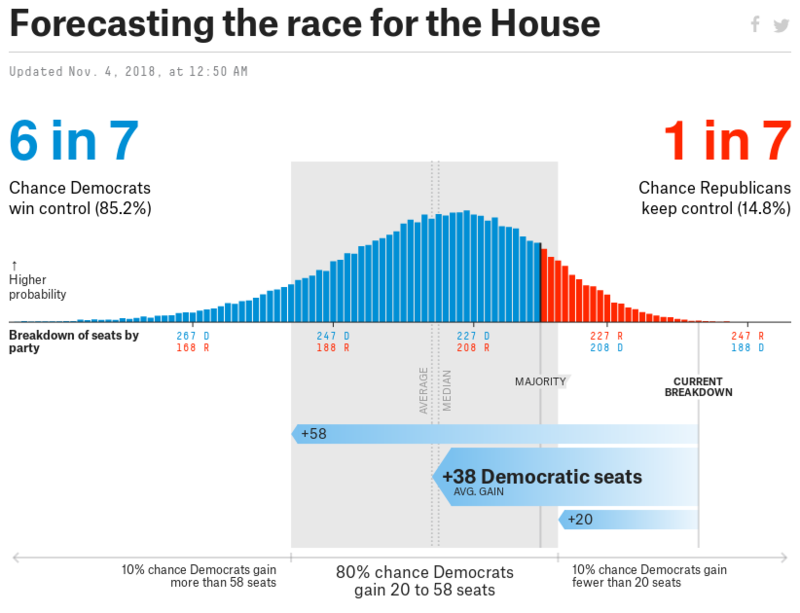 My prediction is closer to an even split. 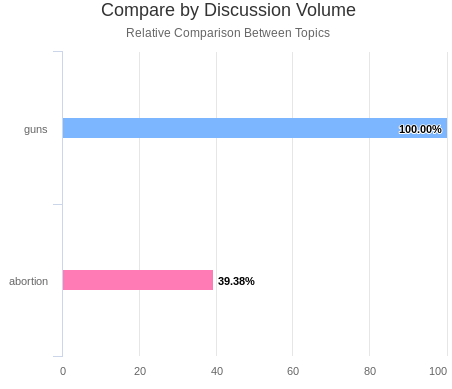 Although “diversity” is discussed the least, it is at least one of the typical “politically charged” terms, that are positively discussed on Reddit. 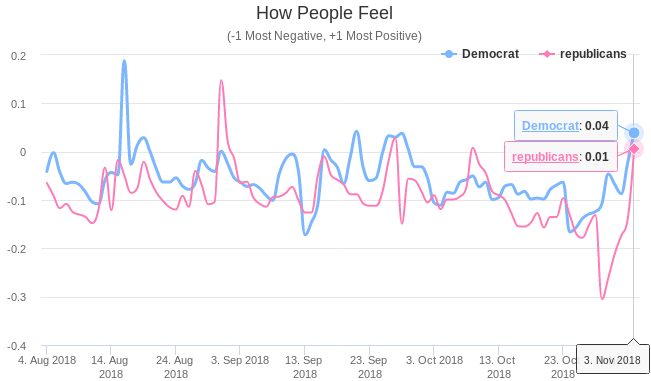 With the above, the thought of Trump being re-elected at this point is likely non-existent (for reference during the election vs Hillary Clinton, Trump was slightly up). However, who knows what will happen until then. 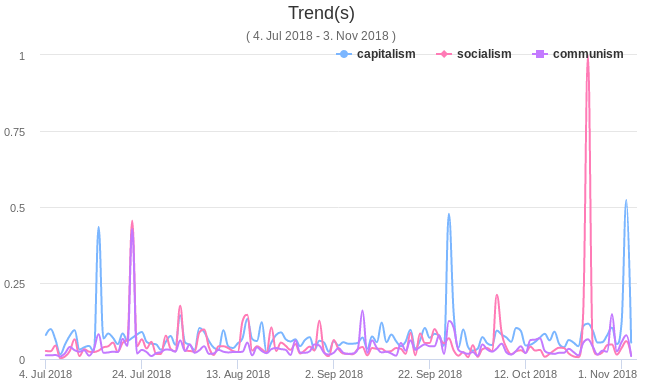 In other words, capitalism is dramatically more popular than other politically ideologies on Reddit, at least based on the subreddit ingested by the system. 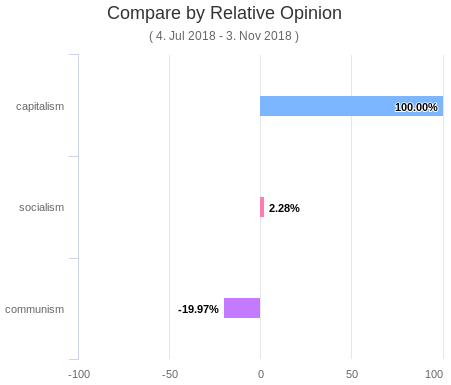 Overall, my impression of Reddit is that it’s generally politically moderate. 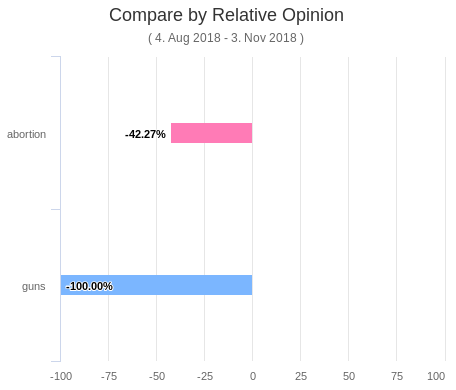 This is at least based off the communities that our system ingests, this would change if we started following different subreddits. However, we do follow most of the main subreddits for news, technology, science, and more. 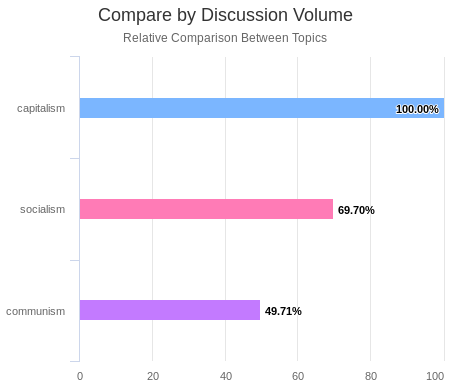 For those interested, it’s fairly easy to do this analysis yourself at Redditprofile.com/compare and this comes as part of the base system for Metacortex – if you’re interested, reach out! 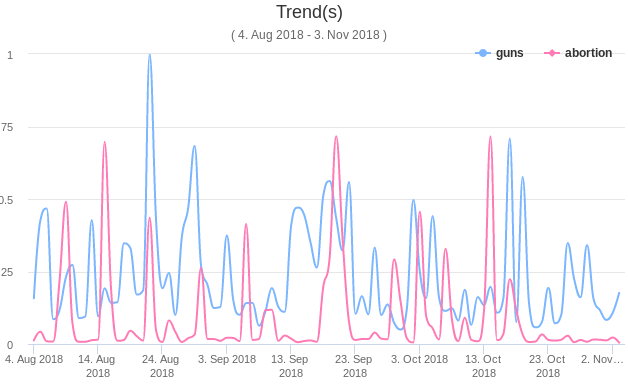 We set this up for companies, self-hosted and just send the system your messages.